Berge Baches offer you a warm comfortable fully equipped home with stunning mountain views right off the dining table. located at the end of a very quite cul-de-sac with plenty of off street parking for both vehicles and boats. The home has a great open plan living area and fully equipped modern kitchen, warmed by a Heatpump. Three tidy rooms with new bedding and a large bathroom with large bath and shower, this is also a semi ensuite to the master bedroom. Large outdoor deck on the second floor with BBQ and outdoor furniture. We also offer a few little extras to make your stay more enjoyable, ie Sky TV, Wifi, Xbox, large DVD collection, books, tea coffee and sugar. No cleaning fee or linen charge! Smoking allowed but outside only, strictly no party's. Please note that we have two Baches on this site, although these are completely seperate, own access, self contained and will not effect your stay, we ask that you please respect other guests if occupied along with close neighbours. Ask about our long stay deals!! Warm comfortable home, Linen supplied, no cleaning fee, Large outdoor deck with BBQ. 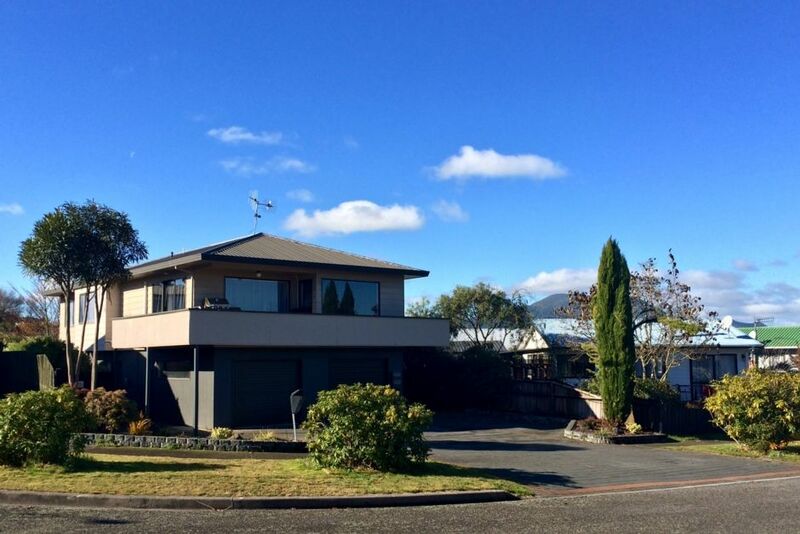 This is a nice, spacious apartment just outside of the center of Taupo but is well situated for getting around. We enjoyed our stay here and would recommend it to others. Good location for our family-park around the corner, quiet neighbourhood. Good location for our family-park around the corner, quiet neighbourhood. Nice clean property. Second time staying here. The house is comfortable and clean on a very quiet street. This will continue to be our first choice when staying in Taupo as everything is just so easy. Great location. Easy to find. Quiet & good place to stay with our 6 month old son. House was more dated than photos show. Bathroom needed a better clean...noted black mold in the shower.